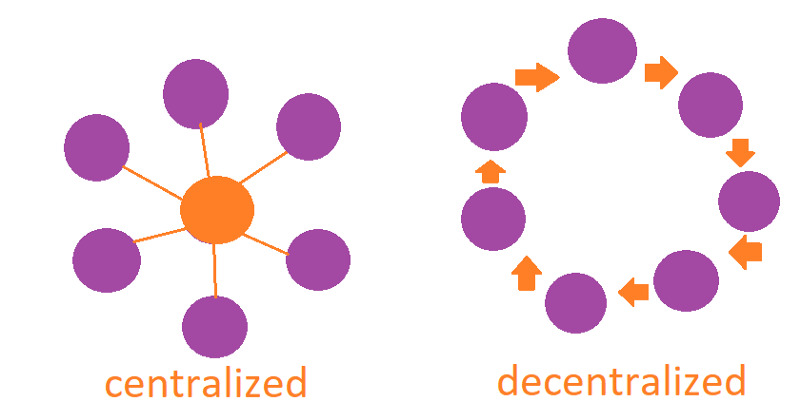 In case you are a newbie in the cryptocurrency community you probably have heard the words Centralized and Decentralized way too many times, as it is a part of the essence of the Cryptocurrency blockchain ecosystem. And to help you better navigate this blog, in case you need it, here is our Cryptocurrency Vocabulary. Means to concentrate, in our context it means the control of an activity or organization under a single authority or entity, where activities are brought together into one place. 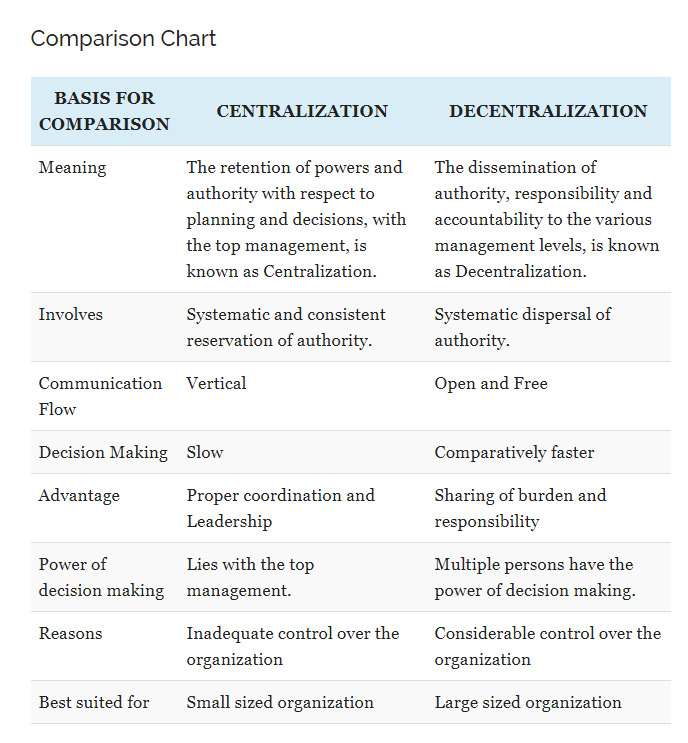 Centralization concentrates decisions into the hands of top management. It is what we currently have to deal with when it comes to our money. Our money, their rules? Most likely you have your money in a bank. Banks are centralized, because they have concentrated power, from top to bottom. People have been conditioned to trust third-parties with their money and identity. We open a bank account without any level of fear or understanding of what we are really doing. We just trust it. We hand over our entire identity and cash in trust that these third-parties will take care of it and not let it leak to thieves (including governments). One central single entity to tell me what I can or cannot do with my money, charging me horror fees to transact this money. How did they convince us of this? For the past 300 years it seemed to be a great solution as to the safety and security of our finances, but things are changing, decentralization has happened, not that it is a new thing it goes back hundreds of years, but it is now growing unstoppably because…well… it makes sense. We do not desire to drive you to put banks in the enemy category, no enemies, just growth & different times, so instead we would like to have you question and seek for transparency and understanding of why you have made the choices you have made. Is it because you have been conditioned to do it or do you know exactly where you are putting your money? Why do we trust third-parties? Why have we decided that it would be safer to put everyone’s cash into the hands of “one”? As in opposed to centralized. Here you have: Spread power. No concentration of power, consensus-based decisions. A transfer of authority from central to local government. Move departments of a large organization away from a single administrative center to other locations, usually granting them some degree of autonomy. It is my money, I say how, when, to whom or to where I want to send it, not out of rebellion or because it is the right thing. Decentralization in Cryptocurrency Blockchain Ecosystem. Blockchain technology is a genius invention, it is a growing list that gets to be recorded in history forever. This immutable list records every transaction as a code, piles them up, saving them into these “blocks” creating an open-source chain, making these codes available to anyone who is a part of this platform. Every node (computer) that becomes a part of a blockchain system receives this list and validates them. In other words, transactions and movement within the blockchain platform is shared, and the same information gets to live in every node part of this system. Imagine trying to change this list? One would have to change it in every single node in the system and not just that, they would have to be validated or approved by these nodes. Seems a bit impossible doesn’t it? This process has allowed the elimination of third-parties and connected people directly with transparency. Which naturally leads to great cryptocurrency trading, exchanges, & transfers of value of any kind. The accuracy of the blockchain system guarantees security, and also from frauds like double spending in cryptocurrency (using coins inappropriately by sending the same code to several different people). It validates each token, coin and transaction giving each of them a code, and as it is passed on it will always carry the codes where it initially was created, because blockchain will carry its history. Centralized or Decentralized Cryptocurrency Blockchain Ecosystem? Who maintains the ledger or growing list of records? Who has authority to validate transactions? Who determines how the rules of the system change? How do the coins/tokens acquire exchange value? Peer to peer network? Is it open to anyone? low barrier to enter? Mining open to anyone? Updates to software done by whom? By developers trusted by community and have great power?